For those who have followed Georgia's for the last several months, you've surely noticed our coffee obsession. You know how we brew the hot stuff, so let's talk iced coffee now that temperatures are rising (finally for us Midwesterners). Coffee, an acidic beverage, can have a bite or bitter taste when we brew it hot. Plus, brewing hot java then adding ice waters it down. I suppose we could go the brew it hot then stick it in the freezer route; but come on, when we brew coffee, we want to reap the reward instantly. Our lives changed when we discovered the Toddy Cold Brew System. Easy to use and the best way to reduce acid in your coffee, this system is a must have for any coffee connoisseur. And, the deliciously smooth coffee concentrate the system produces is just what this summer heat calls for. Here's the how to. You start by setting up your Toddy; it has four parts: the bucket, the handle, the plug and the filter. 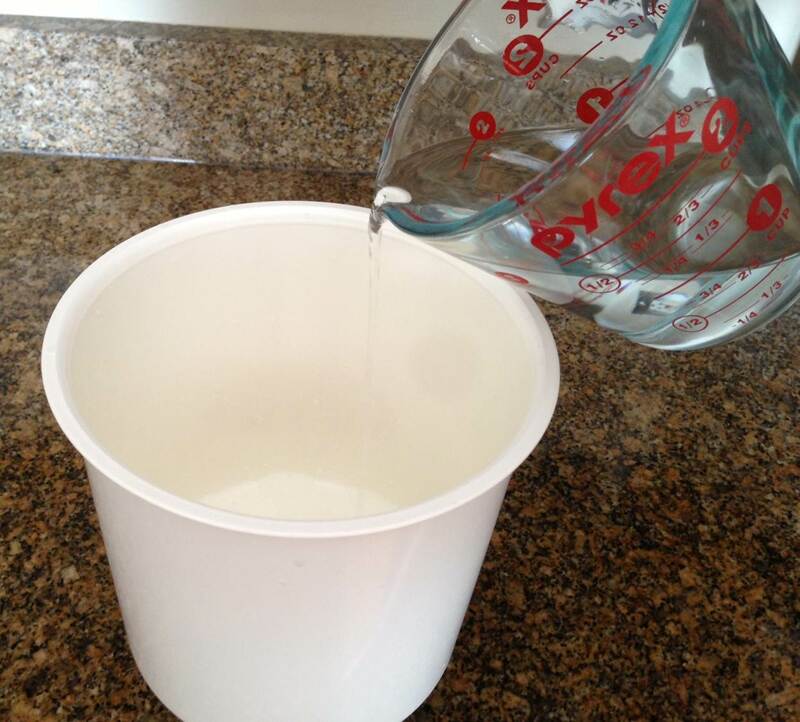 Slide the handle on your bucket, put in the plug, then wet your filter before placing in the bottom of your bucket. Next add 1 cup of water then half a pound of coffee. As you know, we are all about organic so we make a quick trip to Whole Foods to pick up a medium to dark roast variety. Be sure to coarsely grind your coffee. Add 3 more cups of water in a slow circular motion. 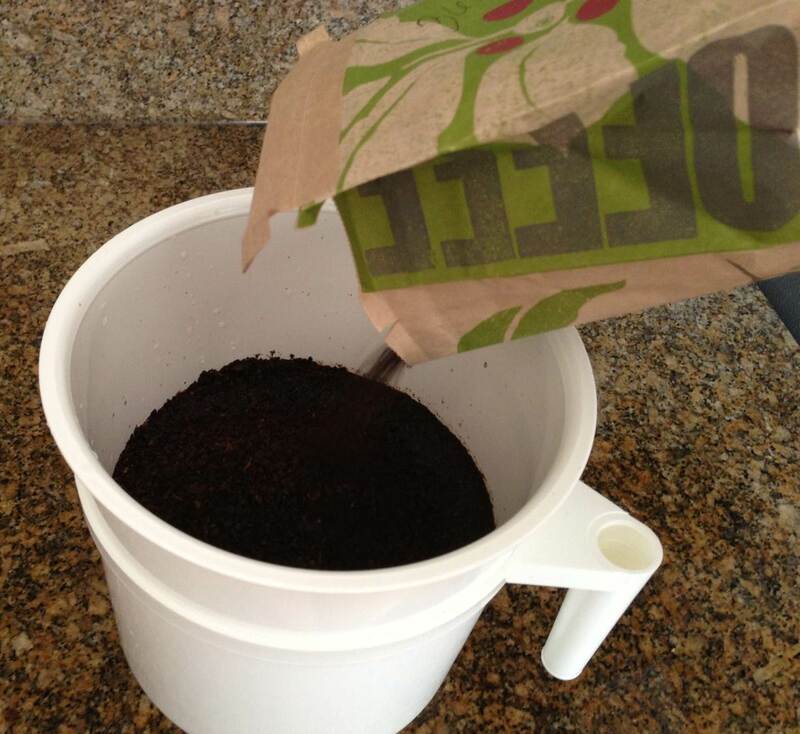 You don't want to clog the filter by compressing the coffee grinds into it. Wait 5 minutes then add the remainder of your coffee and 5 more cups of water. Your bucket will be very full so be careful. 12 hours later: voila! The smoothest, best-tasting coffee concentrate you can find. Simply pull the plug and drain your coffee concentrate into your carafe, then refrigerate. The concentrate stays fresh for up to two weeks in the fridge! To enjoy: pour a shot of coffee concentrate into your vintage glass, add water and a splash of milk (we recommend trying almond milk) and you are ready for a caffeinated summertime treat. Don't forget the whipped cream! Bottle Drying Racks or Hedgehogs!